Today’s Flash Back Friday comes from Episode 227, originally published in September 2014. 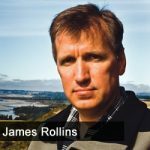 Best-selling author and creator of the SIGMA book series, James Rollins, uses his latest novel ‘The 6th Extinction’ as the basis for today’s Holistic Survival Show. He and host, Jason Hartman, discuss some of the latest scientific advances, the potential for human immortality and the impact of our actions on this race as a whole. 01.45 – The latest instalment of the SIGMA series deals with the very real concept of an impending extinction on the scale of the asteroid that wiped out the dinosaurs. 02.20 – The inspiration for many of today’s novels comes from scientific discoveries and advances that have a real bearing on our lives. The fact that 30,000 species become extinct every year cannot be overlooked. 02.48 – With the notion of the sixth extinction, the main difference is that we, humans, seem to be the cause, and there are some authorities on the matter who believe we only have one or two generations until it happens. 04.30 – Only 1 out of 10 cells in our body has human DNA in it. 06.10 – Scientists are now at a point when they can create from scratch. Designer yeast is one of the more recent creations, but what’s next? 08.00 – Novice scientists can be a part of the Bio-Punk movement by paying $40 and receiving some genetically modified weed seeds that glow in the dark. 10.10 – In these situations, it’s not a case of if something bad will happen; it’s a question of when. 11.00 – IGEM programs are even allowing for High School students to get involved in the field. 12.50 – Where computer code hacking used to be at the forefront, it’s now being taken over by this new and growing trend of hacking into gene codes. 13.17 – 2040 is now predicted to be the year that man becomes immortal – to a degree or almost doubling our life expectancy.